Mr Johnson was interviewed by Piers Morgan on behalf of GQ magazine, in which he admitted to taking cocaine at University and cannabis at school. In true Boris fashion he stated that he could not feel the true effects of the cocaine, as he sneezed immediately after. As reported by the BBC, despite his confession that he thought cannabis was ‘jolly nice’ at the time, he maintains that he now takes a strong stance against drug abuse. What are your thoughts on politicians honesty on their past drug use? The death of former-FSB agent Alexander Litvinenko by radioactive poisoning has taken a new twist. Accused Andrei Lugovoy, a former-KGB agent who is accused of murdering Litvinenko, by radioactive poisoning from polonium-210, has said the British intelligence, mafia or multi-millionaire Boris Berezovsky could have been involved in his murder. What could be interpreted as a blind attempt to shift the blame could create further support for his extradition, for an official investigation. His claim of the mafia or Berezovsky involvement is questionable, as the mafia has not been mentioned previously in this political conflict. Logovoy’s claim that Berezovsky could have been involved is also suspicious, since it was Litvinenko who exposed the Kremlin’s desire to assassinate Berezovsky. However we do have to ask the question how the British security forces failed to miss Polonium-210 in Britain, as it is especially rare, very unstable and highly radioactive. Was this due to ignorance or is there a hidden motive for the British intelligence. Russia for his calls for a revolution to topple Putin, there seems no end in sight. Russia’s refusal to extradite Logovoy? Welcome to the Whitehall Post, the website for the political community. Since this website is for you, it should also be made by you, so please email the Editor any information you think would be useful to the other readers. This could be, for example, extra websites for the ‘research’ page or a rumour you have heard. This week David Cameron announced his decision to not build anymore grammar schools but support Tony Blair’s academy system instead. This has resulted in a fall in the Tory support from 36% to 35%, while Labour has increased its support from 27% to 31% shown in the Independent newspaper according to a recent poll. In reaction Tory frontbencher, Graham Brady, has resigned as Shadow Europe Minister, while frontbenchers Michael Howard, Liam Fox and David Davis are all reported to be angry over the issue according to The Times. This is a surprising turnaround by David Cameron, after a YouGov poll in the Telegraph stated that 70% of the Tory base are in favour of grammar schools, while 49% of voters are in support of a mix between selective and secondary modern schools. David Cameron has hit back at critics, according to an article in the Independent newspaper, by stating that in 18 years of Tory power not one of the schools was built, claiming that the fact that they didn’t affect the past means it shouldn’t affect the future. What seemd like a certain Conservative victory in the next General Election has now become wide open. Could this be classed as an opportunitic policy backfired, intending to claim the middle ground under Labour’s feet? 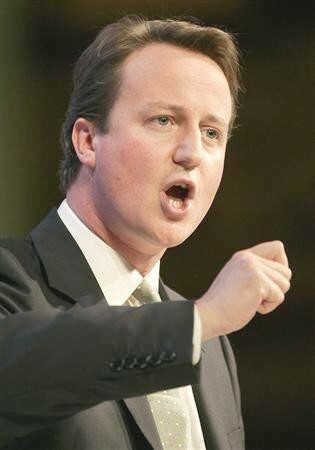 Is David Cameron right or wrong in his assessment that no more grammer schools should be built?